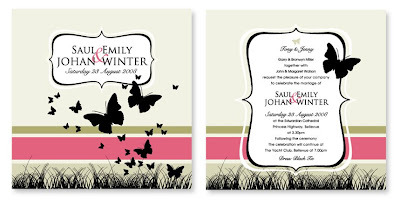 Symbolic of life and love, the butterfly is a popular theme choice for a wedding. If you love this design, but would like a different colourway, just let us know! There are no additional design charges for colour amendments.